3.5 mil white vinyl film tape with removeable adhesive used as a die cutable sandblast resist film tape. Jaco Aerospace and Industrial is your one stop resource for 3M(TM) 3.5 mil White Vinyl Film Tape 33504W, 3.5 mil white vinyl film, 1.2 mils removeable acrylic adhesive, 61 lb bleached kraft paper liner. 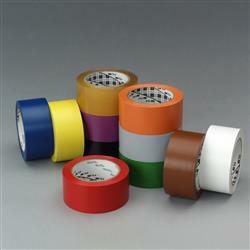 (Venture 470) and all of your 3M Products, Tapes, aerospace and industrial needs.